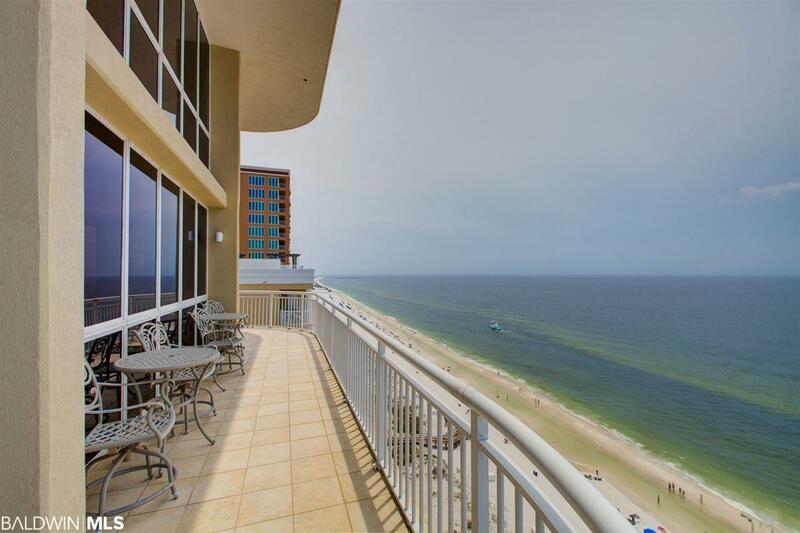 This Luxurious Beach Front Penthouse is the Largest Gulf Front Condo in Gulf Shores. 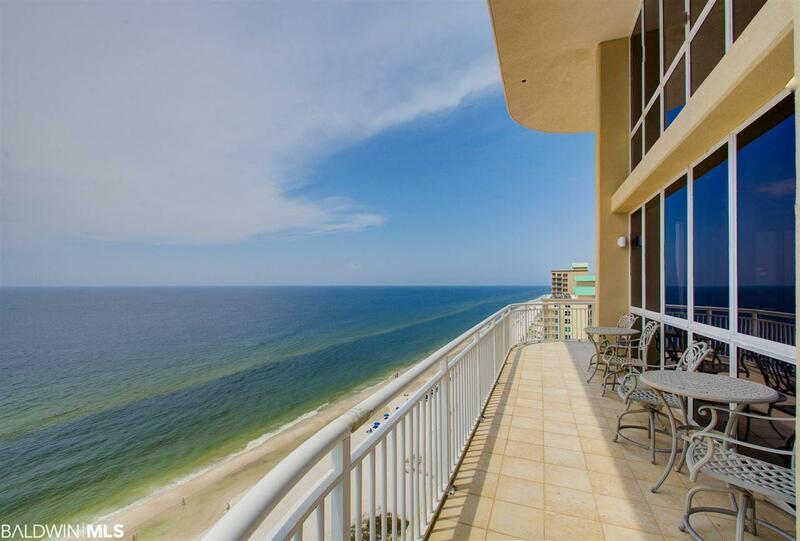 Enjoy beautiful views of the Gulf of Mexico from your wrap around balcony with private balconies off of each bedroom. 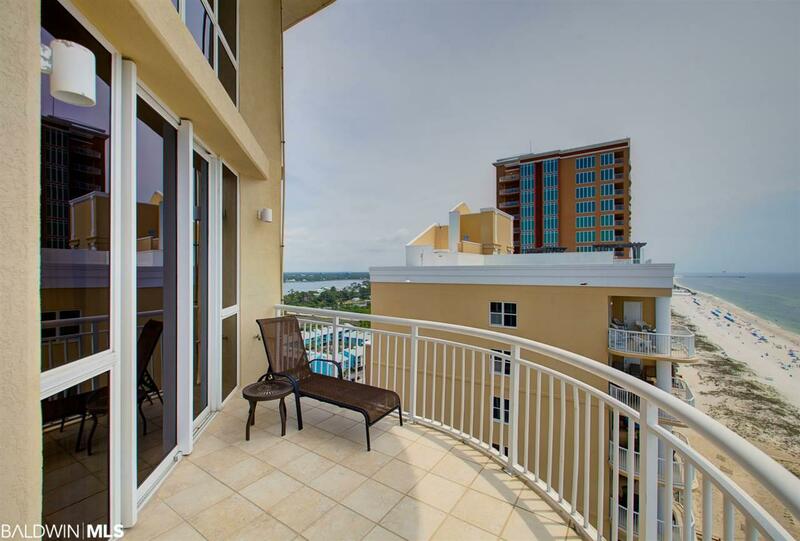 There are 5 bedrooms, 4 baths and 2 half baths and 5,221 square feet of living area in this upscale unit. This Oceania Penthouse encompasses the two top floor stories of this unique complex. The elevator opens up to the foyer. There is plenty of room for entertaining. This Penthouse can comfortably sleep 22 guests. The main floor includes 4 bedrooms and 4.5 baths. The second story includes a large spacious bedroom and bath with a Jacuzzi tub and a large separate shower. It also includes a separate den and a sleeping area for 12 guests. 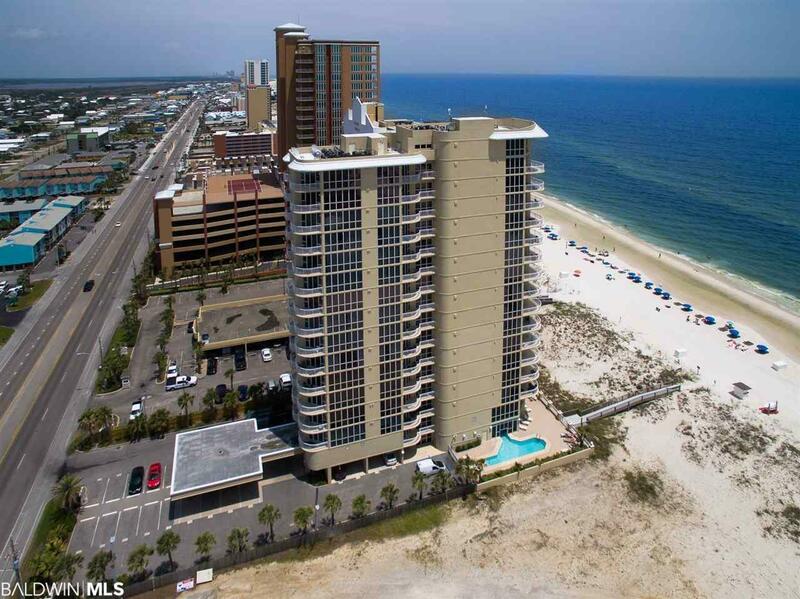 Indoor Features include an open floor plan, floor to ceiling windows, beautiful hardwood floors, upscale furnishings, crown molding throughout, and custom paint. Top of the line appliances, fixtures, and finishes. The kitchen has granite countertops, stainless steel appliances and lots of cabinets and counter space. This smart home is remote controlled with state of the art technology including climate controlled temperature, security, and surveillance. Oceanias amenities feature a fitness center, an indoor hot tub, indoor and outdoor heated pools. The pool area also has a BBQ grill, tables and chairs. There is also a boardwalk, so you are just a few feet from enjoying your day relaxing at the beach.